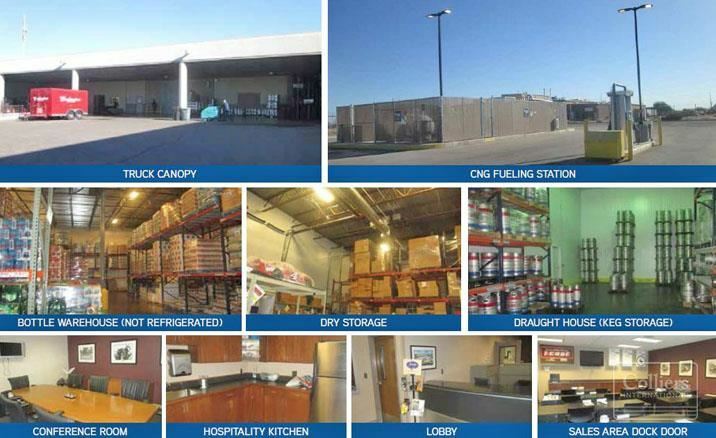 Listing Summary: The property consists of a refrigerated bottle distribution plant featuring a large fenced yard, a 56,477-square-foot industrial building with 7,226 square foot office and two cold-storage warehouses measuring 33,451 square feet and 15,770 square feet. 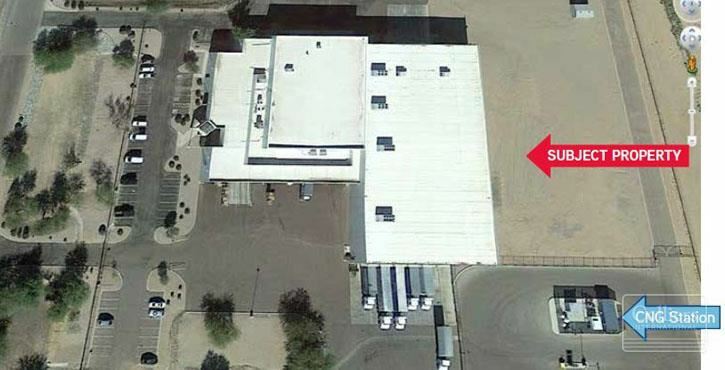 Offered for sale: Golden Eagle Cold Storage Distribution Facility, located at 1000 N. Jefferson Avenue in Casa Grande, Arizona. The property consists of a refrigerated bottle distribution plant featuring a large fenced yard, a 56,477-square-foot industrial building with 7,226 square foot office and two cold-storage warehouses measuring 33,451 square feet and 15,770 square feet. There is additional land for expansion. Land area is ±9.57 acres, or ±416,869 square feet, rectangular in shape. Asking price is $5 million or $88.53 PSF. 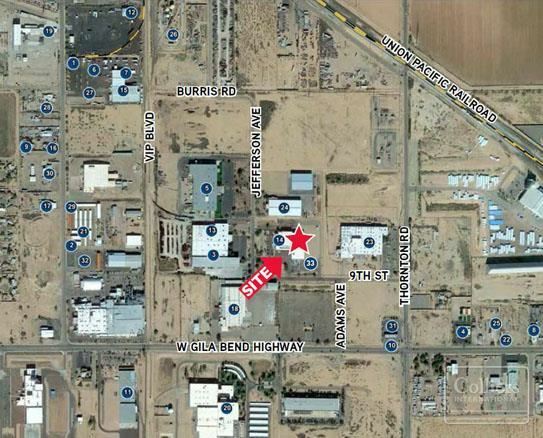 Located in the Thornton Industrial Park I, close to the intersection of Thornton Road and U.S. 84, the Gila Bend Highway. The property is located in Pinal County in the City of Casa Grande.